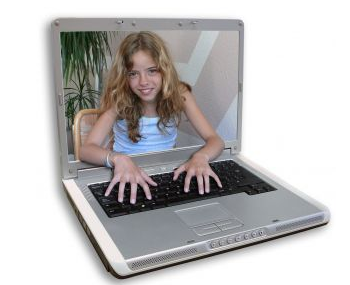 Internet Dangers for Kids – Parents You Better Read This One! I wanted to do an experiment. I was curious about not only the real life sexual dangers of socializing via social networking but also the ease at which our kids could have access to potential negative sexual situations online. I started a MySpace (yes, it’s still around) and Facebook page as a minor. I set my page appropriately and found 1 single stock photo of a “teen girl”. Not a supermodel or web-cam girl or someone that may already be at risk of these sexual dangers. Not an overly promiscuous or sexually suggestive picture, as a matter of fact it was not even a provocative picture. I described myself as a “normal teenage girl” and gave myself some basic “likes” when it came to music, movies and all things available. Wow, parenting a teen these days is scary! Thank you for this post. It’s very scary as a parent to think what our children could accidentally stumble upon or intentionally get into. It really hurts to see beautiful inventions created to make the world a better place and people using these to inflict harm or pleasure for themselves in this kinda of way. We have to pray for these people and educate our children to be aware of people lurking in the dark.